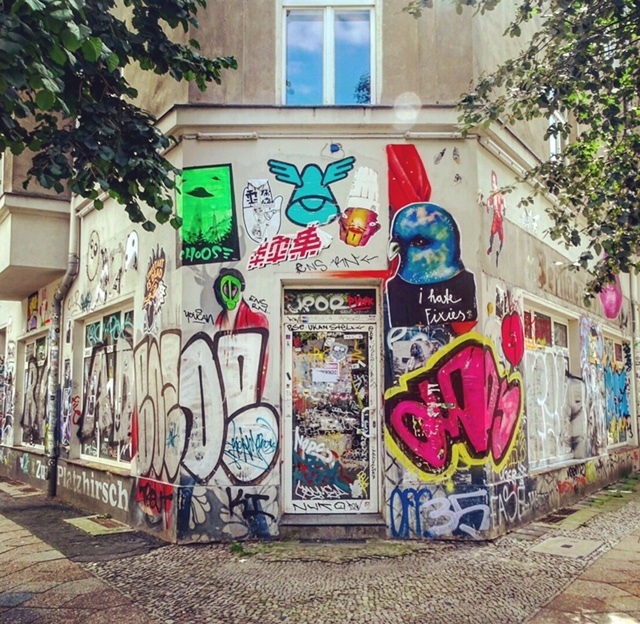 When I first visited our beloved city, before even considering moving here, the first place I fell in love with was Friedrichshain. The busy streets around Boxhagener Platz, the historical Karl-Marx/Frankfurter Allee, the RAW Gelände… A typical touristic stroll, which now feels like not even scratching the surface of this interesting and always changing neighborhood. After 4 years in the city, I have continued to love Friedrichshain, but thankfully discovered many other corners in the area. Here’s what I’d call a perfect day in Friedrichshain! To start the day, there is no shortage of cafés and restaurants that offer breakfast or even brunch on weekends. 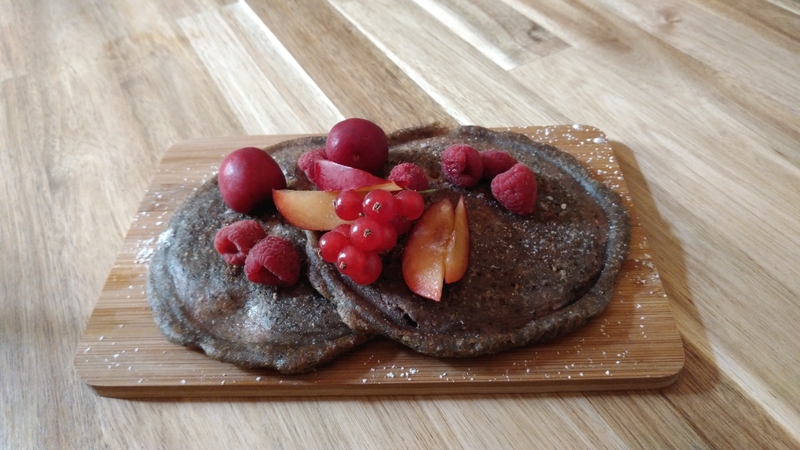 One of my favorites is the café Lykke, which is 100% gluten-free and organic. The café also offers vegetarian and vegan options, equally gluten-free. The flavors are amazing. They make their own bread and it is delicious! From there, follow the streets in the direction of Warschauer Straße and discover the small shops, which sell mostly unique, handmade items. Follow along Wühlischstraße or Sonntagsstraße to explore the different corners. If walking stimulates your appetite, be careful when choosing a place to eat, even though there are many restaurants in the area. There are quite a few bigger places that are frustratingly bland and boring. I recommend going for a simple, very Berliner/German restaurant: Speisehaus. It is German food made with regional ingredients, fair prices and no Bavarian clichés to be seen! A nice, comfortable and delicious restaurant that offers very nice seasonal options as well as a fixed menu. But careful! Vegetarians won’t have loads of options there, so in this case, it is better to go across the street to Mammam, a small, simple Vietnamese restaurant that offers more taste than your average generic Vietnamese place in Berlin. Still hungry? Go for the best ice cream in Berlin, at Eismanufaktur? The shop is closed during winter, but in any other season, I would highly recommend one scoop of salted caramel ice cream here. Eismanufactur also has shops in other neighborhoods beyond Friedrichshain. Also try it in Mitte, Kreuzberg, Kreuzkölln, Rixdorf and Wedding. A movie buff? Check out one of the coolest cinemas in Berlin: b-ware! Ladenkino. It is a video store and cinema club mix. A different movie every two hours, usually original version. Lots of character, lots of great movie options. If you feel like being outside a bit longer, try strolling towards Samariterplatz, in the north part of Friedrichshain. I recommend ending your walk at Die Kaffeefreunde, a friendly neighborhood café with good coffee for a fairer price than the fancy shops at Boxhagener Kiez. From there, go on a short bike or U-Bahn ride to the Computerspielemuseum. Even if you are not a major fan of video games, this interactive small museum is always worth a visit. You can play older/vintage games there! 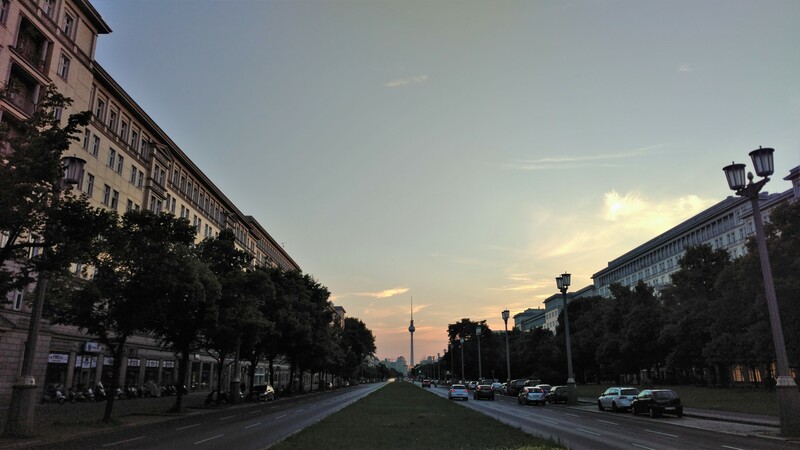 And on the way, enjoy the view of the TV Tower, the tall 50s Stalinist buildings and the gardens along Karl-Marx Allee. Watch the sunset from a privileged spot! 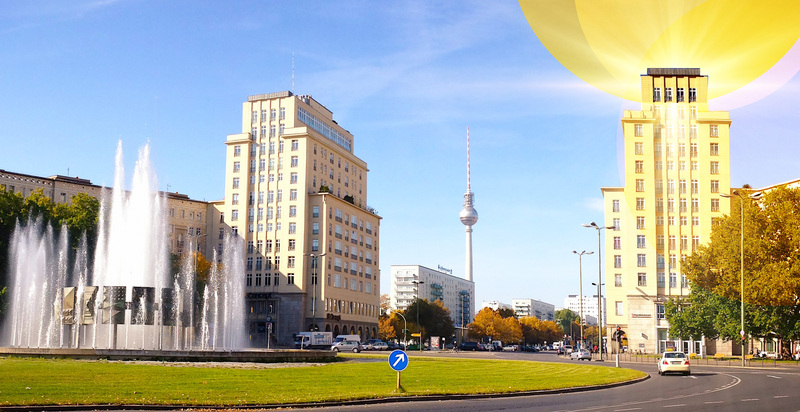 Continue on Karl-Marx Allee until PlaceOne – Panoramabar Berlin. It is a classic Berlin rofftop club/bar with perfect views over the city. There’s no better way to round up the day! And if you are with children in Friedrichshain, than you should also check out the amazing playgrounds they have to offer. Like the huge green dragon for example, or the S-Bahn playground.